A trusted name in the wholesale Christmas tree industry, Sturgill’s is a reliable and experienced Christmas tree grower; offering consistently high-quality fresh Christmas trees at the right price for your retail operations. We have a large inventory of premium fresh, real Christmas trees just waiting for you. 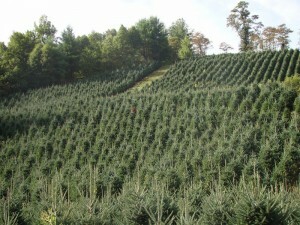 Sturgill’s is a nationwide distributor of wholesale Christmas trees. We ship nationwide or locally, or can make arrangements for you to pick up your orders at one of our convenient tree farm locations. Shipments can be arrange to suit your business needs, whether a one-time delivery or multiple deliveries of fresh Christmas trees throughout the holiday season. Whether you need full truckloads or just a few trees, we’ll be happy to load your truck with exactly the right trees for your Christmas tree lot, garden center, or store. Please contact us soon to discuss your wholesale Christmas tree and decoration needs and requirements. Our friendly and knowledgeable staff are at your service, ready to help you in any way we can. We guarantee that you won’t be disappointed, and by this time next year, you’ll be one of our favorite returning customers!